texte de la pétition: Grauer's gorillas aren't coping. Demand an end to the killing. 15 years ago, there were 17,000 Grauer's gorillas in the wild. Today there are only around 3,800. A cocktail of human threats has ripped their population to pieces in an alarmingly short period of time. They urgently need your support – pledge you will do what you can to help them, and pledge you will help fund the rangers needed to defend them. Hunting and consumption of illegal 'bush meat' has led to the slaughter of countless apes. At the same time agricultural expansion is shrinking their habitat, and mining for gold and coltan have carved holes through their ancient forest. It doesn't need to be like this. Please pledge to support their protection. You can help turn their fate around. The survivors need people like you to stand up and say "enough". 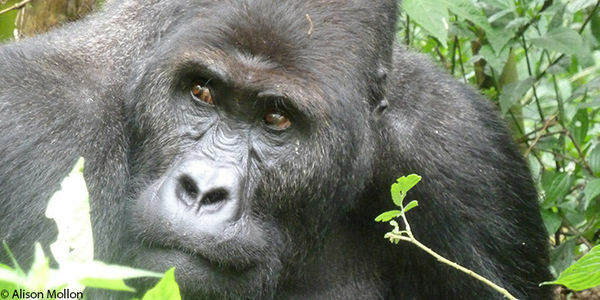 Help save gorillas today - sign this pledge now. I pledge to do whatever I can to help save the remaining Grauer's gorillas.